The disabled vessel, the T/B DBL 152, discharges oil into the Gulf of Mexico in 2005. Image credit: ENTRIX, Inc. The GNOME (General NOAA Operational Modeling Environment) Suite is a set of modeling tools for predicting the fate and transport of pollutants (such as oil) spilled in water. These modeling tools are used for NOAA’s spill response support and are also publicly available for use by the broader academic, response, and oil spill planning communities. The suite will replace the desktop GNOME and desktop ADIOS programs—NOAA's flagship trajectory and fate modeling tools—with a new Web interface and updated fate and transport algorithms. This next generation of GNOME is currently under active development and testing by OR&R’s Emergency Response Division. 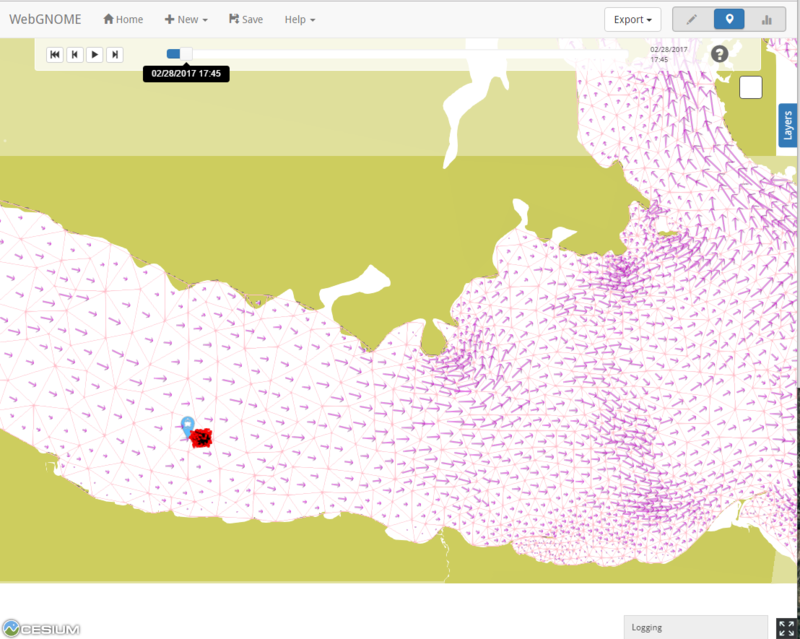 Left (larger view): A map view from WebGNOME, showing currents moving the oil in a simulated spill. 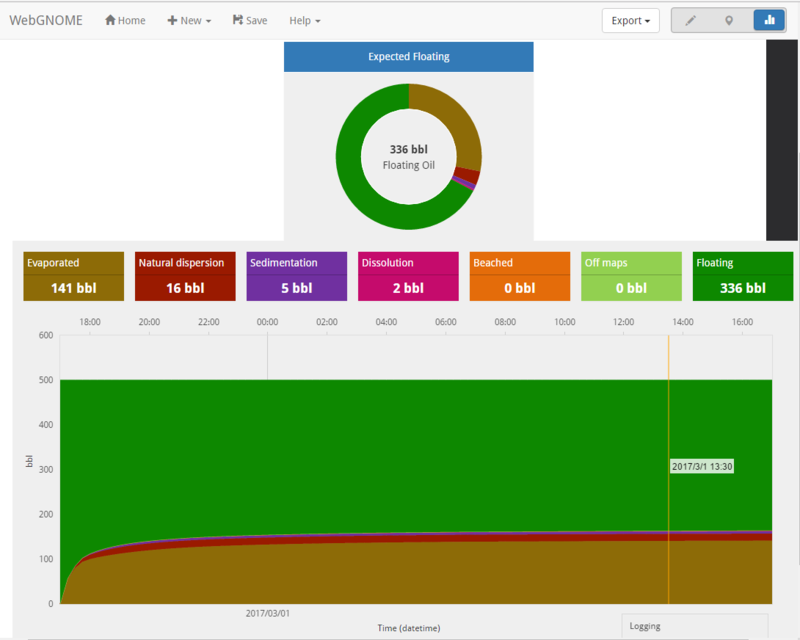 Right (larger view): Oil fate (weathering) view from WebGNOME, showing an oil budget for a simulated spill. While development of WebGNOME is under way, the previous core components of the GNOME suite will be maintained, supported, and used for NOAA's spill response support. GNOME—the desktop trajectory modeling tool—that can be used with downloadable Location Files (pre-packaged information about tides and currents for a particular place). ADIOS®, NOAA's stand-alone oil weathering model. 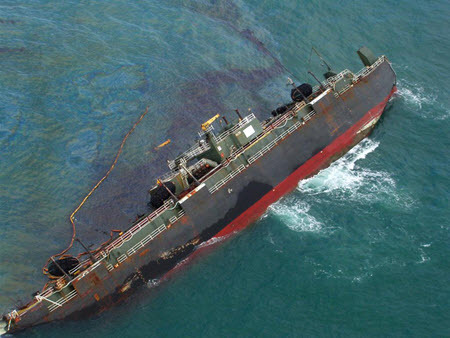 ROC (beta), a tool that assesses the general performance of oil spill response systems, such as the mechanical recovery (skimming) of oil from the water, the application of dispersant, and the burning of spilled oil. GOODS, a tool that helps GNOME desktop users access base maps, ocean currents, and winds. TAP, a contingency planning tool that investigates the probabilities that spilled oil will move and spread in particular ways within a particular area, such as a large bay or inlet. CAFE Database, a program that estimates the environmental impacts from oil or chemical spills into an aquatic environment. NUCOS, a simple desktop unit converter that includes units unique to oil spill response. Questions: Contact us with questions, comments, or suggestions about GNOME.